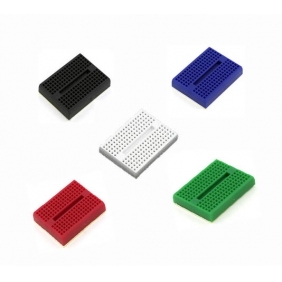 Small Solderless Breadboard, choose your color. This breadboard is nice for quick, small circuits, and can fit in small places. Sticky back for mounting. Don't forget the wire jumpers. Select your color choice below.